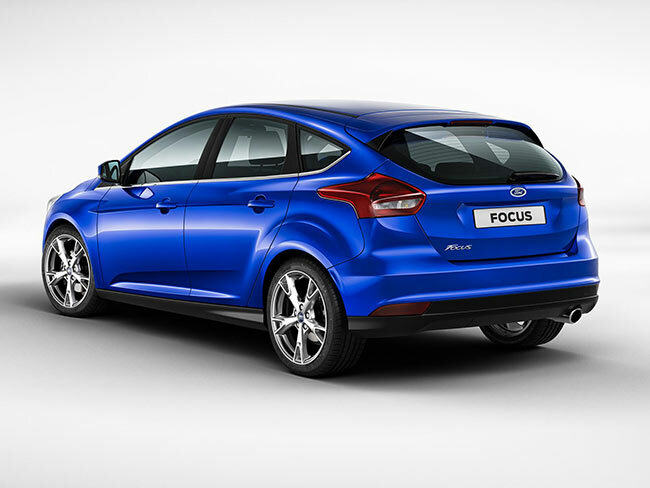 Does the New 2014 Ford Focus Still Bring the Fun? With the Focus being the world’s current best selling car with over 10 million sold and available in over 140 countries, Ford can’t afford to drop the ball on a new re-design. 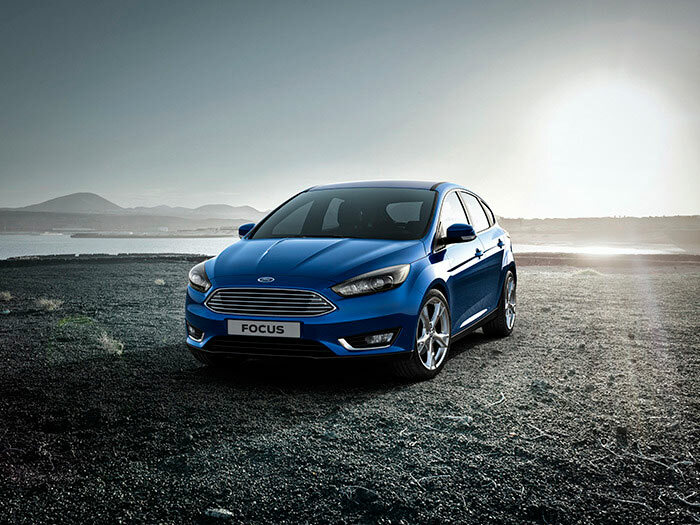 Taking cue’s from the new Fiesta, the new Ford Focus 2014 has had its front-end completely overhauled with a new Aston-Martin style grille and re-styled headlights. The big air intakes from the previous version have been removed, giving the whole front-end a more streamlined appearance. With the rise of smartphone’s over the past few years, car manufacturers have been trying to integrate their use into vehicles and Ford have been leading the way. 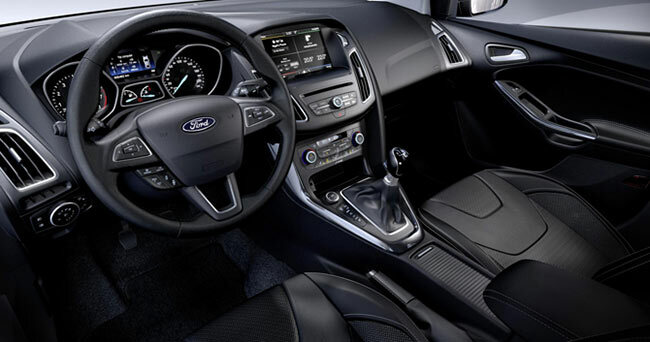 The New Ford Focus sports a new centre console with the rotary knob and other buttons stripped away and their functions now incorporated into a new 8” high-resolution touchscreen display. With the new display comes a new operating system, the SYNC 2, a completely new version of Ford’s in-car OS, with the voice controls receiving a major upgrade. You can now speak to it in plain English rather than the specific commands of the last version. Ford have stated that saying something like “I’m hungry” will result the in SYNC 2 showing you all the nearest places to eat. The voice control can also be used to make calls, change song tracks, adjust the climate controls and add navigational directions, all without diverting your attention from the road. The Sat-Nav has also been upgraded with better 3D views and landmark positioning and clearer junction markings. Building on the popular Active Park Assist self-parking technology comes the new Perpendicular Parking. Ford have added an additional two sensors to the new Focus, allowing you to find a space and then let the car steer in for you, with the driver controlling the the accelerator and brake pedals. This can be used for either parallel or bay parking. Ford have also included the new Cross-Traffic Alert system which warns you when a car is approaching whilst you’re reversing. Ford’s MyKey feature has already been incorporated into the Fiesta range, and has been available in the USA since 2010, is now available on the new Ford Focus. MyKey lets you configure other users ignition keys, like your children’s, and can limit the car’s top speed, the audio volume or provide earlier fuel alerts and speed reminder chimes at 45, 55 or 65 mph, making it less fun for your kids, but making sure that your car (and kids) comes back in one piece. Ford have also put a handy place to stash your smartphone with a dedicated spot near the gear lever along with a power point and a USB port. With a new look comes new horsepower, with the Focus being the first Ford in Europe to come with the new 1.5-litre four-cylinder petrol EcoBoost with 148bhp and 178bhp versions available. The existing 1.0 EcoBoost model is also still available in 99bhp and 123bhp versions. The 1.0 model will also see a greener version that emits just 99g/km of CO2, meaning cheap road tax. The naturally aspirated 1.6-litre petrol version will be available in three different versions at 84bhp, 104bhp and 123bhp. Diesel options will include a 1.5-litre TDCi available in 94bhp and 118bhp, or the 1.6-litre TDCi available with either 94bhp or 113bhp. A 2.0 diesel TDCi tops off the range with 148bhp. Ford haven’t released any details for the new Focus ST model, but that should be annoyed shortly. Five or six speed manual gearboxes are going to be on offer as before, along with automatic versions that will include the 1.0 for the first time. A race-inspired six-speed SelectShift automatic with paddle shifters is also going to available for those who don’t like to use a clutch. unfortunately, you can’t get them for the manual boxes, although be hold out hope for the ST version. The new 2014 Focus has also seen some trim upgrades with Ford trying to add a higher level of driving comfort with thicker carpet and better noise insulating glass in the windows. The steering wheel has better in-built controls that are easier to use and is available heated as an option for the first time. The Ford Focus was already a great car, loved by millions around the world, but these new changes make a big difference, with the front-end being a stylish improvement. The SYNC 2 display will make smartphone integration even easier and the overall improvements to the ride and comfort levels means that the Focus is still Ford’s best family car. The prices has yet to be announced but expect it to be broadly inline with the 2013 range. We’re looking forward to see what changes they make to their flagship Focus ST model, with an increase in BHP rumoured. 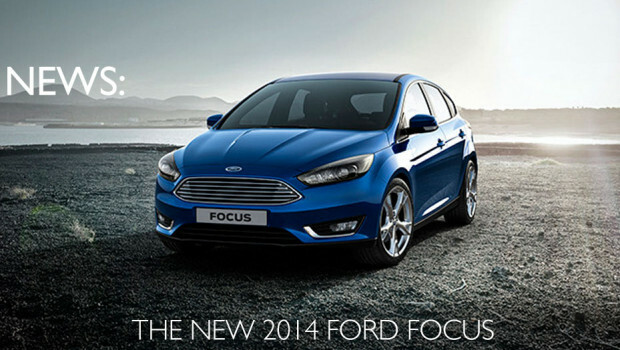 3 Responses to Does the New 2014 Ford Focus Still Bring the Fun? What i do not realize is if truth be told how you are now not really a lot more neatly-liked than you may be now. You’re so intelligent. You know therefore considerably relating to this subject, made me personally believe it from so many various angles. Its like men and women are not fascinated except it’s one thing to do with Woman gaga! Your individual stuffs outstanding. Always maintain it up!